Whether it’s for use on home DIY projects or in a commercial setting such as a workshop, a reliable wireless angle grinder is one of the most important tools you’ll ever possess. 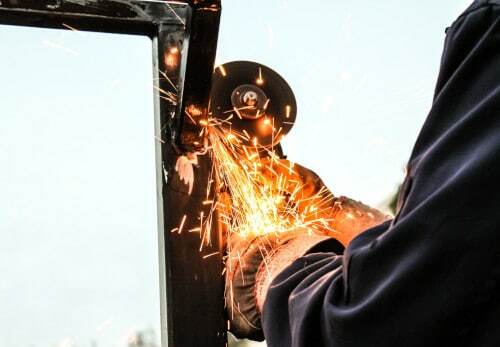 A quality angle grinder will make abrasive cutting and polishing far easier while the array of interchangeable power sources and attachments open the door to endless possibilities. 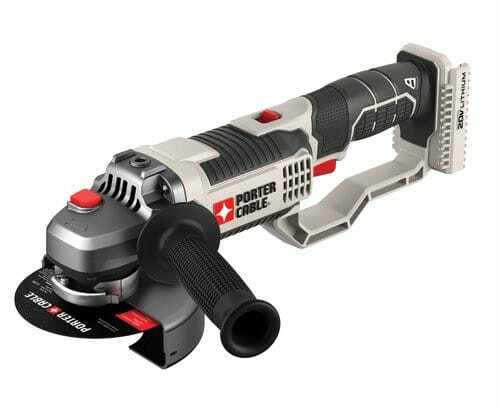 If you are going to buy a versatile angle grinder, you need to know that it’s up to the task. Therefore, you need to consider the head, disc, wheel, wattage, auxiliary handle, and other key features. It can all feel a little confusing, but help is at hand. Here are five of the best models on the market, along with the necessary info needed to make an informed decision. 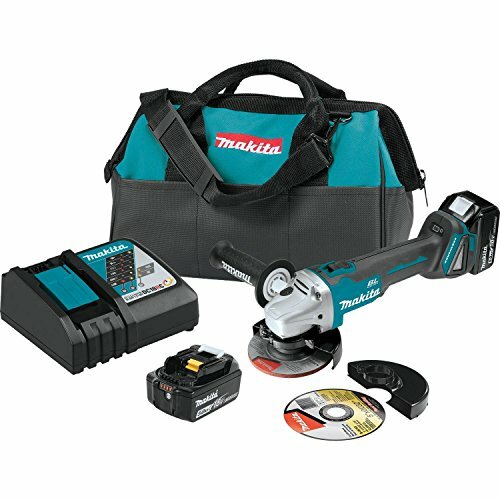 The Makita XAG04T wireless angle grinder kit is a compact but powerful tool that is suited to a range of cutting and polishing tasks. The 18V battery provides ample power for most tasks while the battery life is pleasing too. This model offers brushless motors, which makes it particularly useful for heavy use, surpassing the capabilities of many competing products on the market. You can put a lot of pressure on the unit without compromising the quality or accuracy of the cut. If comfort during usage is a priority for you, the fact that the handle can be moved from one side of the unit to the other is another great feature – especially when looking to handle heavy workloads. The disc changing process is also very simple. When supported by the fact that it’s cordless, you’ll be sure to enjoy hours of cutting and polishing without any worries regarding comfort or convenience. The Maita brand is a name you can trust, and this is evident in every use. The tool won’t bounce or shake, which makes the process very simple. Whether you’re a beginner or a pro, controlling the speed and power will never be a problem. Form cleanups to cutting, this tool does everything you could ask – better still, it does it with the precision and power to match most corded versions. Appearances aren’t a major concern, but the black and teal scheme works well. While it is possible to purchase the tool on its own, the kit of accessories is advised. The 5” cut off wheel, guards, and tool kit are all great additions. 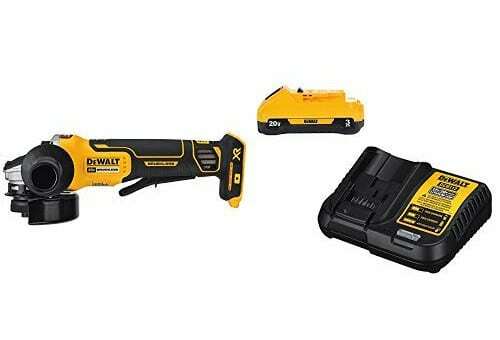 The 20V Dewalt DCG413B grinder uses brushless technology for a powerful, sturdy, and accurate cut and polish. It is capable of handling most angle grinding tasks, offering a convenient alternative to comparable wired units. Safety is a priority for the Dewalt brand, which is shown by the anti-kickback and auto blade brake features that will help protect materials (and more importantly yourself). This makes it an ideal solution for any beginner or household user that may still make mistakes from time to time. The simple trigger system is easy to master too, enabling you to work at the speed and power you desire without losing accuracy. The unit is a good size for detail work and larger assignments and is comfortable in the hand. While it won’t take the pressure of corded variants, it can still provide a sturdy and reliable performance in most situations. 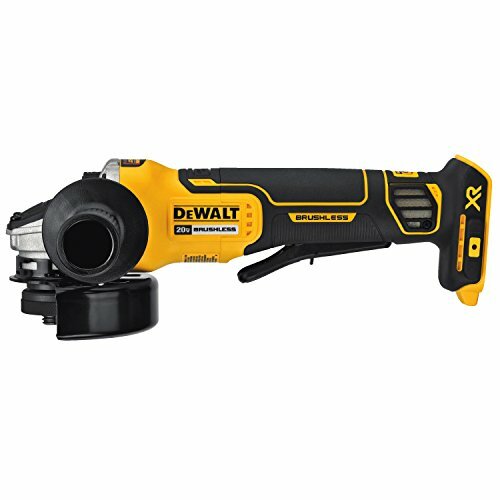 Dewalt has a strong reputation for providing tools that offer great versatility, and this angle grinder is well suited to cutting thin sheet metal and thicker metals. It’s also very capable when sharpening blades or other metal materials. It bring simplicity to the table while you also have the option to choose different batteries or change the heads if you want to purchase those items. Overall, it is a light yet powerful cordless angle grinder that will serve you well in most scenarios. 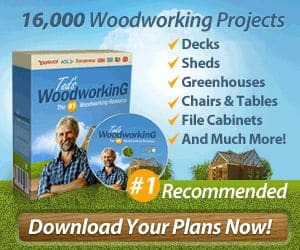 Moreover, it continues to provide a reliable function regardless of whether you plan to use it on daily basis in the workshop or for infrequent jobs around the home. 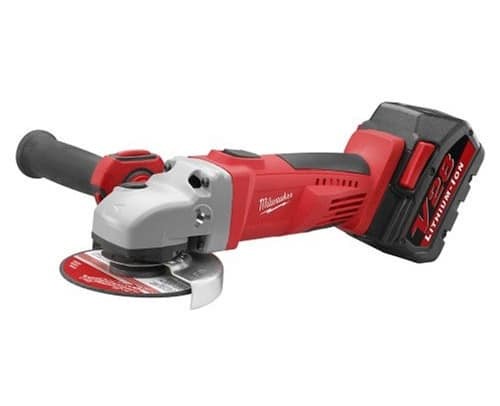 The iconic red and black Milwaukee 28V cordless angle grinder is a small but heavy option that is ideal or regular use in both home garages and commercial settings. Primarily, though, it is perfect for cutting jobs on work sites and other environments where using a corded tool would be a disaster. The Czech manufacturer has certainly produced a product that you can trust. Partly due to the weight, but primarily thanks to the slow start feature, this angle grinder is very easy to control. It won’t jump out of your hands with a burst of power, and this also protects the gears and other elements. Moreover, the fact it eases into the cut gives it a quiet performance that is pleasing to all users. In truth, the heavy weight is a hallmark of its quality and robustness. The grinder is more than capable of grinding concrete, rock, steel, and tile along with a variety of other materials. The diamond blade creates possibilities that simply aren’t there in many of the cheaply made alternatives on the market. This model is built to last, which is supported further by the guard and other key items. So, whether you’re leaving it in the trunk or in the home garage, you can rest easily knowing that the tool is ready to for years of service. The Milwaukee 28V cordless angle grinder is works best when you opt for a firm grip but with little pressure. So, if you need a tool for polishing, sharpening, and cutting thinner metals, this is an ideal solution for those needs. When handled well, it’s power and capabilities don’t fall far short of a corded version – and it is certainly far more practical. 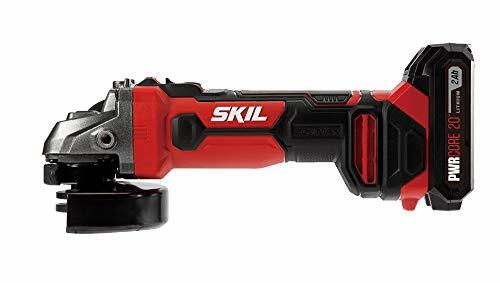 The Skil 20V cordless 4-1/2 inch angle grinder is a practical and comfortable solution to most angle grinding tasks, although it is best prepared for the cutting tasks. Still, it can polish and sand items with good efficiency too. Its comfort and safety in the hand is very evident. Being able to move the handle to suit your personal preferences for the job at hand is a nice feature while the fact that the power switch won’t suddenly turn on is a great touch. The practicality of this grinder is underlined by the fact that the spindle wrench is stored in the handle, preventing misplacement and promoting easy access. The red and black scheme looks professional and ensures that you won’t lose sight of the item if you’ve placed it on a workbench, for example. This angle grinder works very well on its own but can be used as part of the Skil family, allowing you to complete virtually any DIY or commercial metalwork task that may be required. Another thing to love about this is that the guard is easily positioned to stop any sparks hitting you. It’s a great option for hobbyists due to the safety mechanism as well as the lightweight properties and ease of use. Even the instructions are written very clearly, so even novices can get to work right away. The RPMs aren’t as high as corded industrial options, but are more than adequate for household and small workshop tasks. 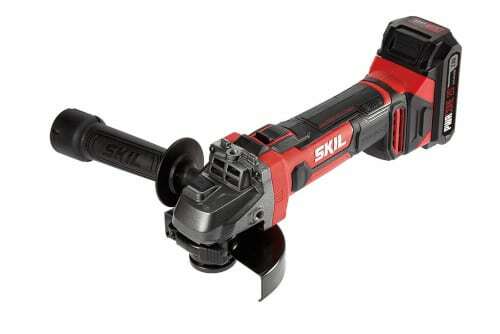 For a light but durable angle grinder that’s lots of fun to use time and time again, the Skil 20V is a great option. 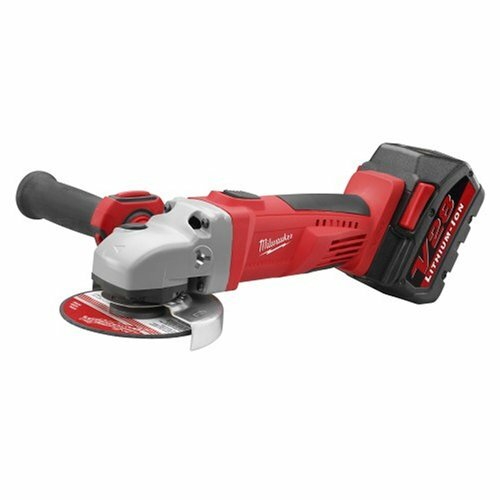 CUT, SAND, POLISH AND SHARPEN-Use this cordless grinder for a variety of DIY tasks including cutting tile, grinding metal, sanding, polishing, sharpening and more. LONGER RUN TIME & BATTERY LIFE-The PWRCore 20 Lithium Battery has an innovative temperature management system to keep battery cool and powering on through your project. 3-POSITION SIDE HANDLE-Choose the positioning that works best for you and the task at hand. DUAL FUNCTION LOCK-ON SWITCH-Prevents accidental start up and locks on for convenient prolonged use. ENHANCED CONTROL-An easier and and safer start. Porter Cables 20V bare grinder is a basic but highly dependable solution for household tasks while it is capable of saving you when you’re caught short out on external sites. It looks good, feels good, and performs well – as long as you choose the right battery. 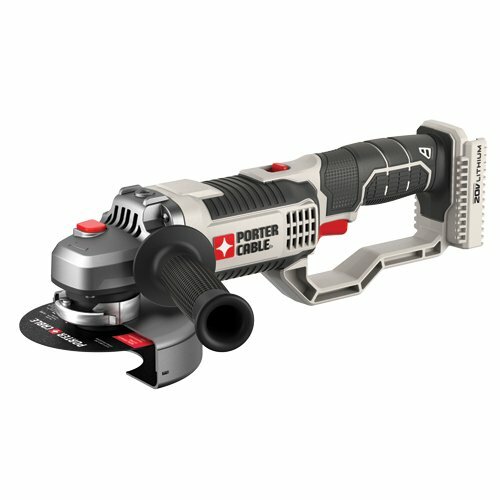 The compact and lightweight model runs very quietly while it offers smooth cutting, grinding and polishing. The unit is very solid while even the two guards are very sturdy. When combined with the fact that the 20V gears offer a level of power to match corded units, this is a particularly reliable unit from a brand you can trust. 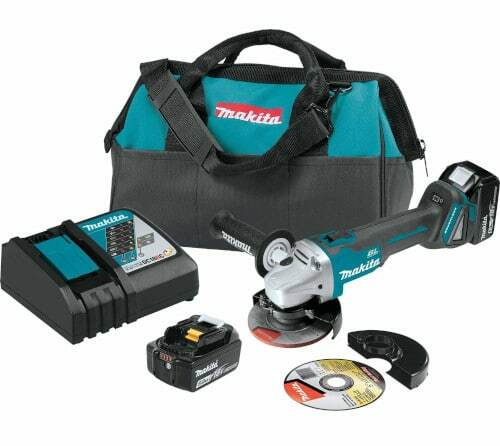 Two cutting wheels and one grinding wheel offer versatility in terms of function. Like many of the best tools, the multi-point handle gives you great control on comfort and performance, not least because it can be easily changed as you switch from one assignment to the next. The trigger usage and handling are particularly pleasing on this, giving you a natural feel as you work your way through cutting and grinding activities. Furthermore, the sleek design makes it easy to see exactly what you’re doing, which can make costly errors a thing of the past. This is a blessing for new and experienced users alike. While you’ll have to get your battery and accessories elsewhere, this does allow you to create the setup that you desire. So, if you have a solid idea of the tasks that it will be used for, you’ll have the perfect shot at tailoring the setup accordingly.